H. Pylori Study — E Squared Research, Inc. 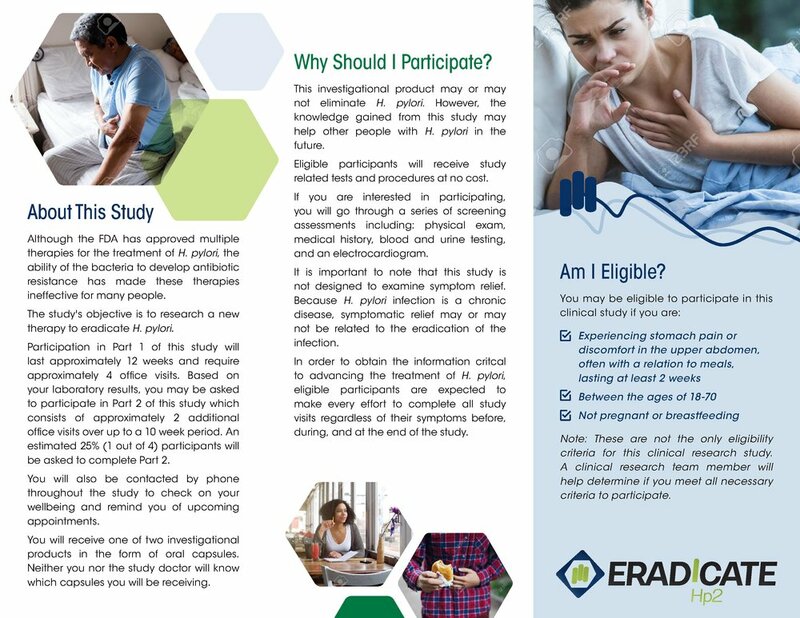 If you are interested in becoming a research patient but do not see the study you are interested in, we encourage you to contact our office. Letting us know your needs might allow us to find a study for you. Your consultation and study participation is always free.